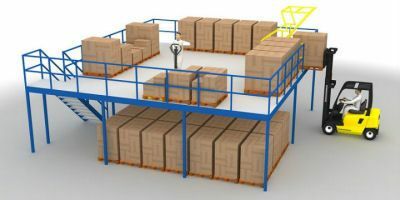 A Mezzanine Floor is the most cost effective way to increase warehouse space by going up rather than outwards. We supply Hi-Level Mezzanine Floors, a leading provider of quality mezzanine floors. We help you achieve that extra space your business needs, without the expense and inconvenience of relocating. We have been designing and installing mezzanine floors for over 25 years. Our projects range from small, single storey floors right through to large, complex multi-tiered installations. it can be best delivered to make the most use of the space available. Call us now on 0208 617 8610 or email us your enquiry from our contact page.